Stephen King has created another macabre masterpiece with Pet Sematary. In the film, the Creed family moved to another home to start a new life. Little did they know that they are now living beside a mystical Indian burial ground that has the power to reanimate the dead! Dead creatures that the children bury there return to life, but with some sinister differences. 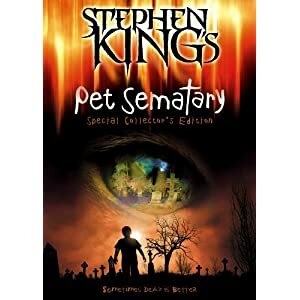 Unlike typical slasher films, Pet Sematary builds its tension with actual storytelling, atmosphere, and characters. Many horror films require a lot of effort to suspend your disbelief, but Pet Sematary tells a story that seems almost believable. This makes it easier to relate to the characters, empathize with them, and share their experiences. That's why it's scary - it feels like these things could happen to you.